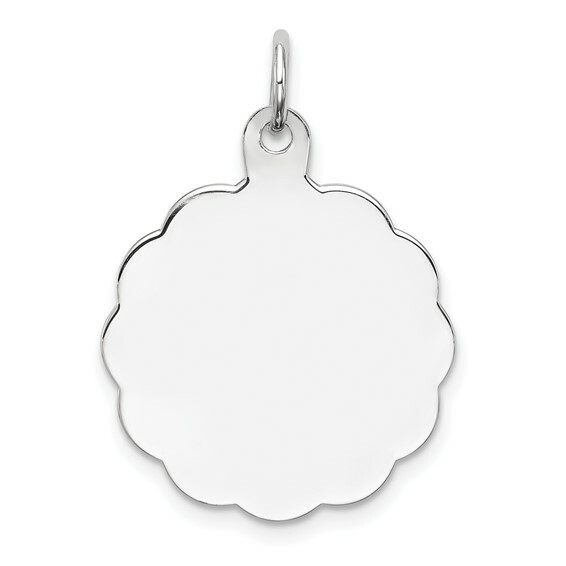 Engravable disc charm is made of polished sterling silver with scallop edges. Item measures 3/4 inch tall by 3/4 inch wide without bail. Thickness: .035in. Weight: 2.64 grams. Fits up to a 3mm wide chain. Made in USA.